This 5000 watt 36 volt power inverter to 110V 120V is a perfect power inverter charger for home. It’s a battery charger and AC auto-transfer switch with a peak DC to AC conversion efficiency of 88%. MOQ 10 pcs for this 5000 watt 36Vdc inverter charger. 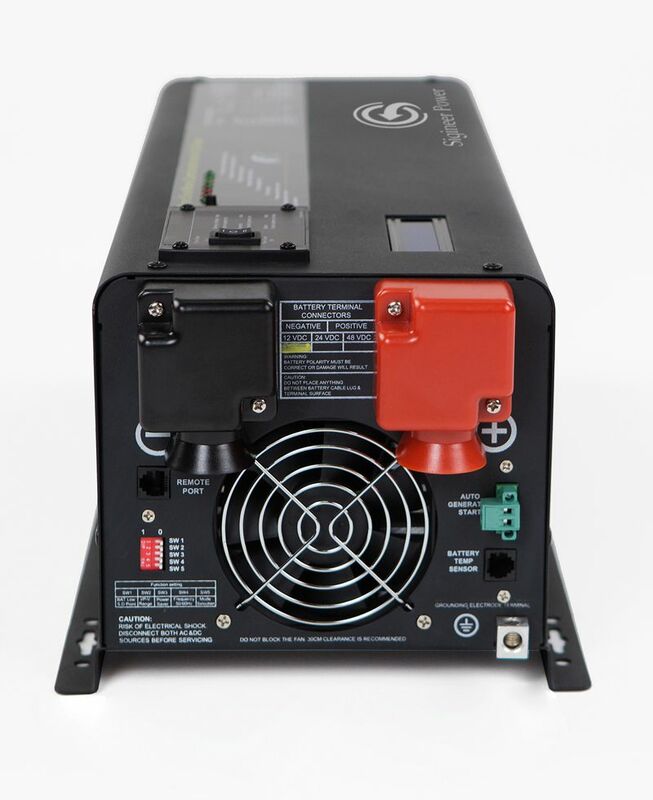 Sigineer Power offers a vast selection of innovative power inverter chargers exclusively pioneered in the industry. They are suitable for off-grid back-up power at home, cabin, boat, larger solar systems or anyw location without city power. Compared with 24Vdc and 48Volt battery setting, 36 volt is less popular. 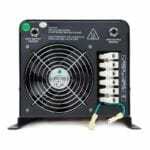 This 5000 watt 36 volt inverter charger is a very attractive option to users using a 36 volt battery bank or DC source . The Siginner Power 5000 Watt 36V to 110 220 volt inverter charger is built for large AC loads at home , it is capable of running most tools, pumps, motors and appliances. The biggest incentives for using inverters for electricity instead of generator include much lower noise, making for a more peaceful environment , and non-pollution. It is able to deliver full rated 5000 watts with an exceptional 300% surge capacity at 15,000 watts for 20 seconds, abundant power for power hungry loads such as sump pump which has a strong current draw and locked rotor amperage. This 5KW 36V inverter charger also features a built in smart battery charger of 65 amps and automatic transfer switch of 80 amps. With 36V dc input, it works more efficiently and requires smaller DC cables in comparison to systems with 12V dc or 24V dc inputs. It is built with robust UI transformer with the good isolation between DC and AC, it works with 88% peak efficiency and an idle consumption of 15 watts in power saver mode. This inverter is built with UPS function to give continuous power supply; it can detect the loss of power and switch over to DC seamlessly to keep the loads powered on. It is also a very reliable power inverter for sump pump in that it provides an extremely clean power output with a THD less than 10%. For challenging startup demands, this 5KW power inverter for sump pump can start water pumps, motors and air compressors without overloading itself. This is the most rugged 5000 watt 36V power inverter for sump on market.This inverter is equipped with dual cooling fans and over-temperature protection that keeps it from overheating. • 15000 watt surge for 20 seconds – 300% overload performance. • Built-in LED Remote Controller Port.